Blend convenience and fashion with this eco-friendly monogrammed jute tote bag. Classy natural material in navy with vegan handles. Add a circle monogram for an upscale look in either block or script. Roomy tote for travel, beach or a carry-all bag for the day. 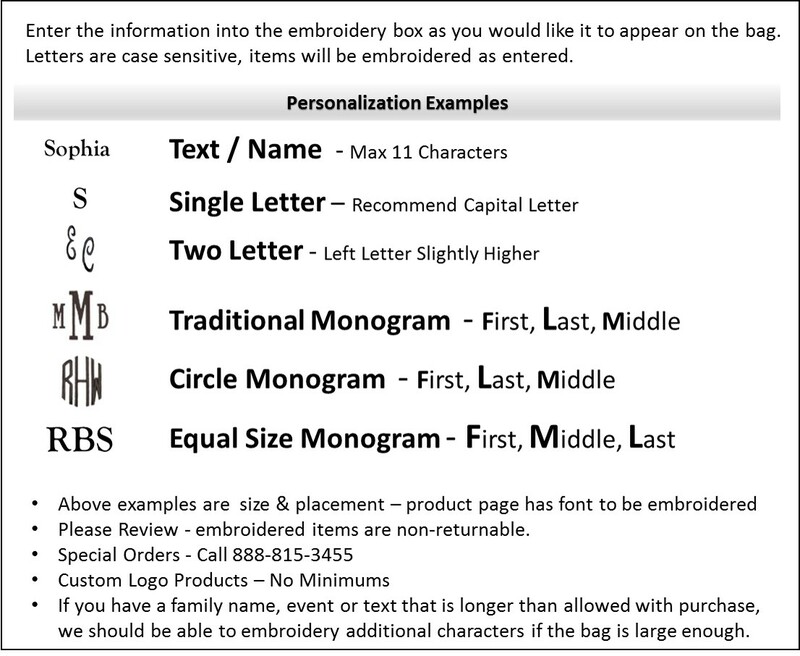 Personalization available in a stylish font and thread colors. Choose three letter monogram or name. Personalized jute tote bag measures 21"W x 16"H x eight inch wide bottom. Laminated interior. Open tote.